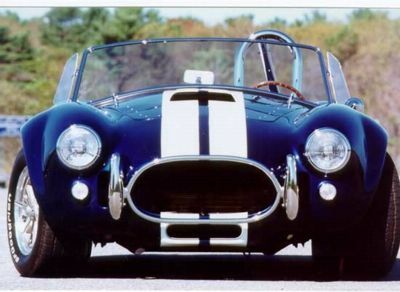 The Factory Five Racing 427 Roadster is the most successful component car ever built. The FFR design has won national race victories, earned awards in the press and garnered a loyal following of owners and customers. It is made from proven racing materials and is the integration of advanced computer design technologies and state-of-the-art manufacturing methods. The Factory Five 427 Roadster is based on the innovation of using a single modern donor vehicle, namely the high performance Mustang 5.0. We chose the Mustang hardware for a number of reasons, but mostly because it has established itself as the performance bargain of the last decade. The Mustangs 302 V-8 is the exact same block that powered the original AC cars and GT-40s to World Championships in the 60s. Over the years we have added other engine/drivetrain options, but the single donor concept accounts for 3 out of 4 FFR cars built today. If you have our kit and a 1987-1993 Mustang 5.0 donor car, you have all the parts you need to build and drive your car! Hey, it's good to have goals!